A new study shows that climate change has negative effects on the culture, well-being and mental health of the Sámi. Climate change brings new diseases both for people and reindeer. As a result of many changes that have had an impact on society and ways of living, the Sámi are now more vulnerable to climate change than before. This finding is presented in a recent study by Jouni Jaakkola, Suvi Juntunen and Klemetti Näkkäläjärvi at the universities of Lapland and Oulu. Postdoctoral Researcher Juvvá Lemet, or Klemetti Näkkäläjärvi, from the University of Lapland says that, in their study, the researchers analyzed and reviewed articles that were published on the Sámi in 1990–2018. «In our study, we only looked at articles that were based on their own research material or interview forms or that dealt with the climate. In addition, we used material from my fieldwork,» Näkkäläjärvi explains. During his fieldwork, Näkkäläjärvi interviewed thirty reindeer-herding Sámi in four herding cooperatives in the Sámi Area of Finland. The interviewees came from the herding cooperatives of Käsivarsi, Näkkälä, Hammastunturi and Lappi. «Sámi society is vulnerable to the effects of climate change, and there are two reasons for this,» says Professor Jouni Jaakkola from the University of Oulu. «Climate change is most intensive in the Arctic where those engaged in traditional sources of livelihood – reindeer-herding Sámi – live in close interaction with nature – and where the natural conditions are changing quickly,” Jaakkola says. According to Jaakkola, the study also highlights an important ethical issue. «The ones who are least responsible for global warming and who live in harmony with nature may be the ones who suffer from the impact of climate change most,» Jaakkola explains. The adverse effects of climate change on the Sámi come directly from the ecosystem or through administration, economy or legislation. Global warming changes the conditions for growth, threatening the well-being and the grazing of reindeer. According to research, climate change also introduces new diseases to Sápmi, the Land of the Sámi – both for reindeer and people. Näkkäläjärvi lists that allergies and asthma as well as mortality from cardiovascular diseases are going to increase. He explains that climate change will affect reindeer so that they will suffer from stress because of warm weather in summer, while their living conditions, and thus also possibilities of finding food, will become more difficult in winter. The new research also shows that the risk of accidents grows. According to Näkkäläjärvi, more reindeer will fall into and drown in water because of thinner ice and the number of landslides and avalanches will increase. Research shows that the health of the Sámi is either as good or better than that of the main population. However, there are only few studies on the Sámi living in Finland and Sweden: most of the research done on the health of Sámi has been conducted in Norway. According to research, the traditional Sámi diet – reindeer meat, fish, berries and little sugar – protect the Sámi from lifestyle diseases such as diabetes. Näkkäläjärvi says that research shows that the diet, knowledge and way of life of the Sámi are changing if we look at the whole Sámi population. According to the study that Klemetti Näkkäläjärvi, Jouni Jaakkola and Suvi Juntunen published at the end of October, a change in the way of life means that the Sámi have become more vulnerable to lifestyle diseases such as diabetes, cardiovascular diseases and mental health problems. The traditional livelihoods required that the Sámi move in the outdoors and exert themselves physically, which protected their health. In addition, a strong Sámi identity enhances the mental health of the Sámi. But there is also another kind of connection between the mental health and well-being of Sámi and the traditional Sámi livelihoods. «Studies made in Sweden show that the weak position of reindeer herding and the Sámi make Sámi even vulnerable to suicidal thoughts and mental health problems. Unfortunately, this has even resulted in suicides,» Näkkäläjärvi explains. 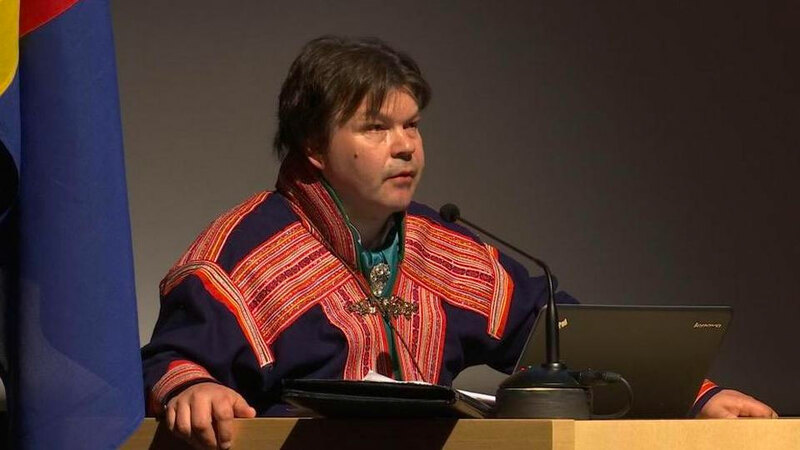 Näkkäläjärvi says that research and his fieldwork show that climate change has already had an effect on Sámi culture. Apparently, a new topic – climate discussion – has entered the lives of reindeer-herding Sámi. They often discuss the changes that have taken place in the natural conditions and their impact on herding. According to research, the methods of herding reindeer, for example, have changed in some areas as a result of climate change. Here, Näkkäläjärvi mentions supplementary feeding as an example. Näkkäläjärvi says that herders do not, for example, know what the grazing conditions will be like until later in the winter and in spring, while they used to be able to predict them in the early winter. Research has shown that reindeer herding is important for Sámi culture. Näkkäläjärvi also says that the reindeer is an important animal in mitigating the effects of climate change. According to Näkkäläjärvi, the Sámi and the reindeer are in a key position in mitigating the adverse effects of climate change. Studies clearly suggest that the working conditions of reindeer herders should be safeguarded, and the same applies to the possibilities Sámi have of living in a Sámi way. «These things protect Sámi from health problems and have an effect on climate change by mitigating it,» Näkkäläjärvi says. Näkkäläjärvi says that, according to their study, there is a great need for analysing the health, well-being and culture in the Finnish Sámi Area. The impact of climate change and the health of the Sámi should be monitored systematically. According to Näkkäläjärvi, this information is essential for the Sámi community and the decision-makers. «We know that, for example, the results of the Intergovernmental Panel on Climate Change are based on systematic research data,» Näkkäläjärvi explains. The research group aims to continue with their study and produce essential research data in Finnish and Sámi. They also aim to produce studies in the world languages of research, especially in English.